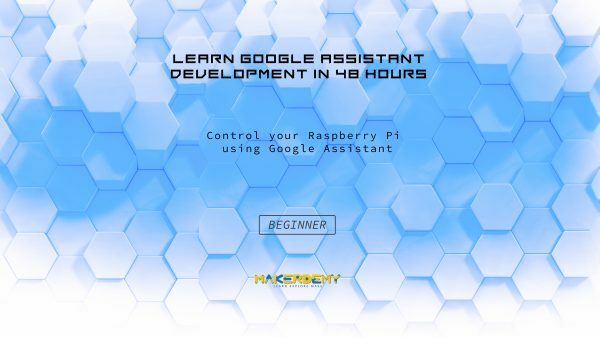 Being a beginner level course I have made this course in such a way that anyone with no prior experience in Voice apps and NodeJs can easily assimilate the content and at the end of course can create a complete Google Assistant applications which can be published for the world to use. I will be always available for any of your queries and suggestions as we move through the course. Take the course and join more than 13,000 happy students of Makerdemy. You will learn how to make your Raspberry Pi a Google Assistant enabled device.